🎉HAPPY NEW YEAR!🎉🍾🥂 This is my Best of nine, you seem to enjoy a lot of my favorite subjects! I’ll give you this and much more and better next year! Thank you so so much for your love and support all throughout the year, it means the world! My personal goals for my page in 2018 are simple: • Improving my photography and have a more cohesive page. Now, it’s all over the place and I really need to find my style and a more artistic approach. • Create more makeup looks for Monolid people. • Be noticed by some of my favorite brands. This would be a dream come true to be noticed by some of them. On top of my list we have: @makeupforeverus @maccosmetics @anastasiabeverlyhills @colourpopcosmetics @katvondbeauty @patmcgrathreal. Those brands are some of my favorites and are more oriented artistry and creativity. • Reaching 30k followers maybe? It’s not my ultimate goal but just a milestone for me to push me in the right direction. I hope I’ll reach at least one of these goals...we will see! As you guys know, I was super disappointed not reaching my 30,000 mark this year. It’s been a rough year for small accounts like mine. It’s hard to put your work on the internet and not having the reaction that you were expecting or worse, your work being ripped off by so many people. Seeing them succeeding and not you, still stuck with nothing. I’m trying to stay positive but that’s hard. This was one of the hardest year for me, (2016 was also very challenging). Lots of self doubt and the worst was and is still my battle with depression. This battle is so hard and I feel like that I’m going to lose one day... My page is such an important aspect of my well being. It makes me busy and not to overthink too much, be focused on something fun and interact with so many nice and supportive followers and IG friends. I am extremely grateful for the few beautiful opportunities in 2017. A special thank you to @nablacosmetics, @natashadenona , @juviasplace , @thebalm_cosmetics , @colouredraine . You made me feel important and worth it this year and it means so much for me to be supported by all of you. Cheers to 2018, hoping this is going to be a good one. MONOLID MAKEUP LOOK using @natashadenona Palette 5 eyeshadow 12. This taupe palette is so gorgeous for everyday life. This is my kind of go to when I want something polished and put together. @anastasiabeverlyhills @norvina #dipbrow pomade in Ebony. @clarinsofficial @clarinsusa Graphik Ink Liner. This is one of my favorite eyeliner. The pen is super precise and the color is a pure black. It’s also super easy to work with and last all day without creasing or smudging. @lorealmakeup @lorealusa Lash paradise mascara. . . . . . . #futilitiesmore #futilitiesandmore #futilitiesmorelooks #monolid #monolids #monolidmakeup #monolideyes #asian #asianeyes #asianmakeup #makeupartist #undiscovered_muas #universomaquiagem_oficial #anastasiabeverlyhills #norvina #makeup #motd #makeupartist #mua #vegas_nay #hudabeauty #octolyfamily #octoly #honestreview. Meet Matt(e) Shmaker by The Balm Cosmetics is coming soon! 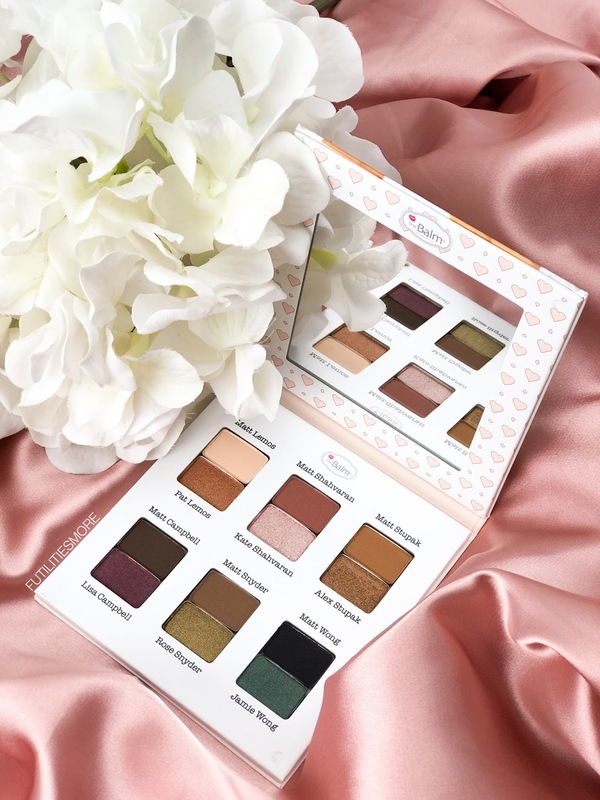 The Balm Cosmetics knows how to create cute palettes! 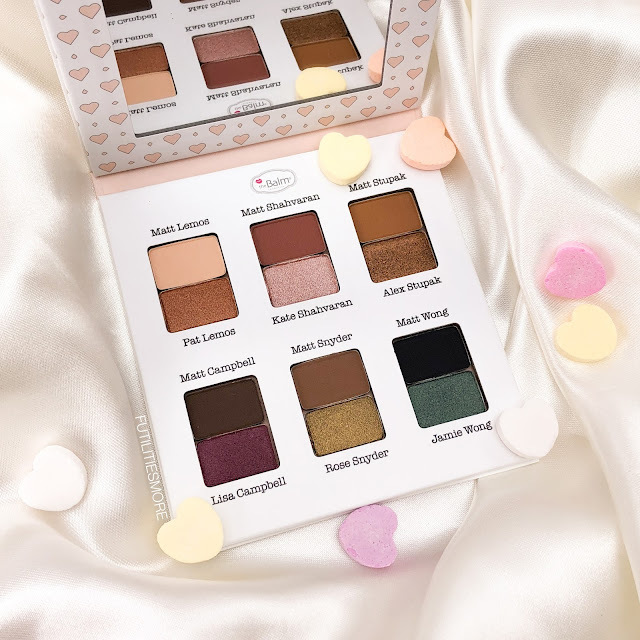 The concept of the matching matte and shimmery shades is so cool! It’s also nice to see a neutral side and a more colorful one with beautiful smoky and jewel tones, it makes the palette versatile and fun! 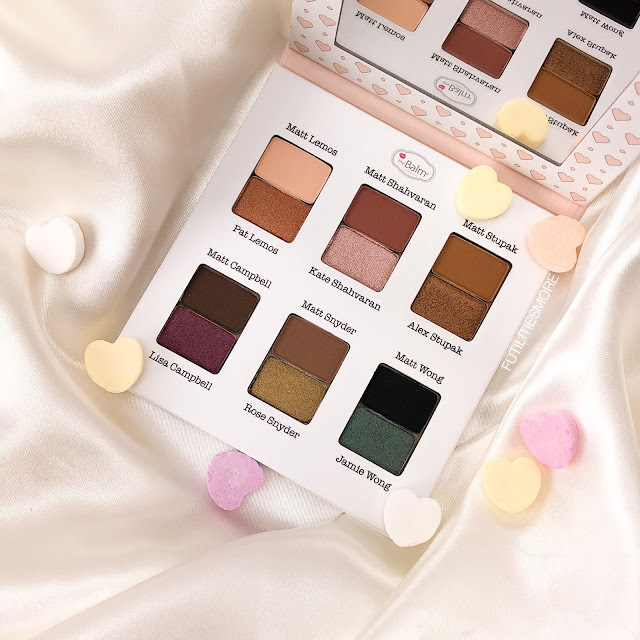 This new addition to The Balm Cosmetics Meet Matt(e) family retails for $29.50 with 6 matte and 6 shimmer shadows. Electric blue makeup look using @kevynaucoin Electro Pop palette. Those blues are so beautiful and intense! I just did a gradient application using the three cool shades at the bottom of the palette, the turquoise, blue, purple . I used the black eyeshadow as a base so that the colorful shadows pop more on top of it. Onto the inner corners, I applied the lightest gold and light pink (top left). And the lightest gold onto the brow bone. @anastasiabeverlyhills Dipbrow pomade in Ebony. @houseoflashes Iconic Mini lashes. @urbandecaycosmetics Glide on pencil in Zero for eyeliner and water line. @lorealmakeup @lorealusa Lash Paradise mascara. . . . . . . More infos here: http://ift.tt/2BREZml #futilitiesmore #futilitiesandmore #futilitiesmorelooks #monolid #monolids #monolidmakeup #monolideyes #asianeyes #asianmakeup #undiscovered_muas #universomaquiagem_oficial #anastasiabeverlyhills #norvina #vegas_nay #hudabeauty #houseoflashes #iconicmini #ElectroPOP #InstantlyEYEconic #ElectroPOPpalette #kevynaucoin #kevynaucoinelectropop #kevynaucoinelectropoppalette #octoly #octolyfamily #honestreview #gifted.